Come to discover artisans, creators and exceptional objects in the prestigious markets Biron and Dauphine! For the third year in a row, Marché Biron and Marché Dauphine are teaming up to celebrate spring by opening their spaces to artists and craftspeople. Bringing together some 370 merchants, the Biron Market and the Marché Dauphine offer visitors the much sought-after eclectic flair. Each merchant will give carte blanche to an artist (designer, photographer, visual artist, musician, writer ...) thus provoking complementary artistic and cultural confrontations. 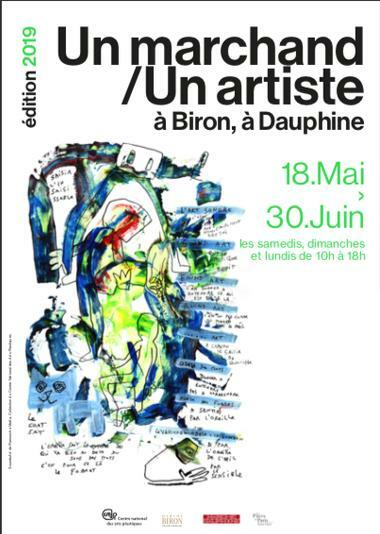 On this occasion, a thematic exhibition will be presented in dedicated spaces in Biron and Dauphine. For this 3rd edition, Marché Biron and Marché Dauphine have partnered with the National Center for Visual Arts (CNAP) to allow visitors to see or hear unique works. The event will begin with an opening Thursday, May 16 from 19h. There is no review about Un Marchand / Un Artiste, be the first to leave one !